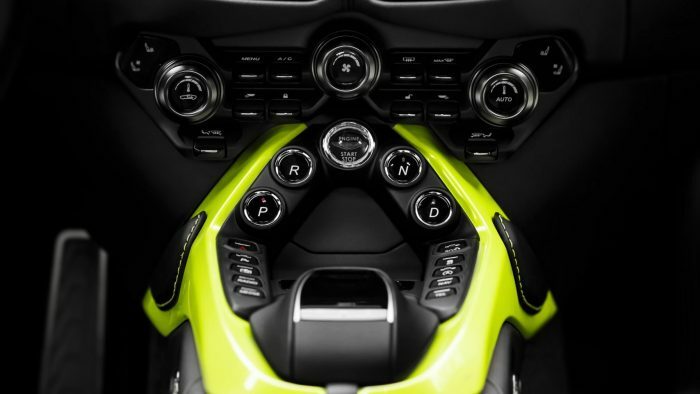 One of the most anticipated sports cars of 2017 and the successor to its most successful model ever – the Aston Martin V8 Vantage was unveiled in late 2017 and – in a departure to the traditional launch photos of Astons in the past, where the car has been grey or green or even a burgundy, the Vantage arrived in striking, almost neon lime green. 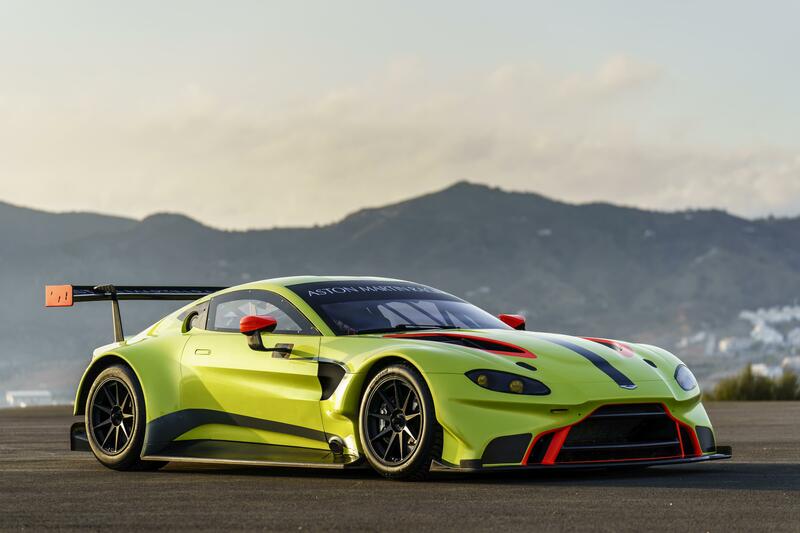 This in a way signalled a departure for the brand; following on from reports of record profits for the brand in 2017, the confidence Aston Martin had at launch displayed in what it produced with the V8 Vantage: less part-sports part-touring car, more all-out sports car. The car seems to have inherited some of the spirit of the ear-splitting track-only Vulcan übercar. That startling exterior accentuated the aggressive aerodynamic features in the bodywork, while demanding the attention of onlookers, guaranteeing their second glance. 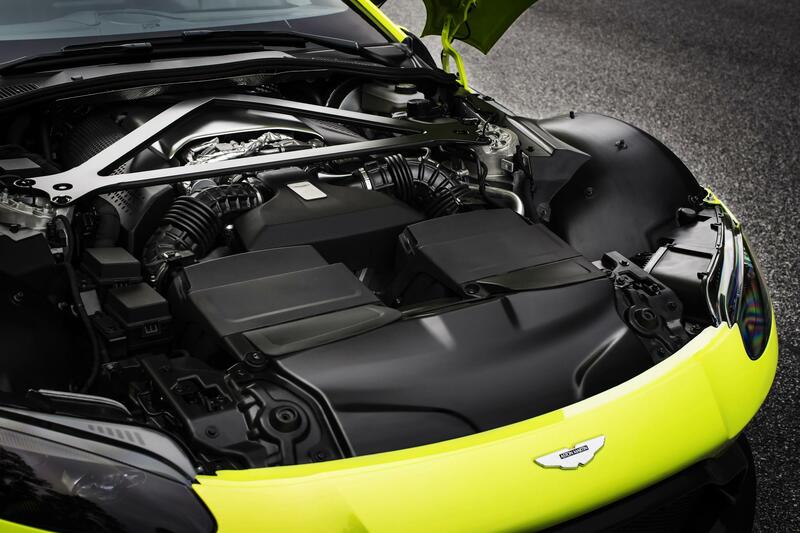 With its new V8 Vantage, Aston Martin delivered a bold statement of intent. 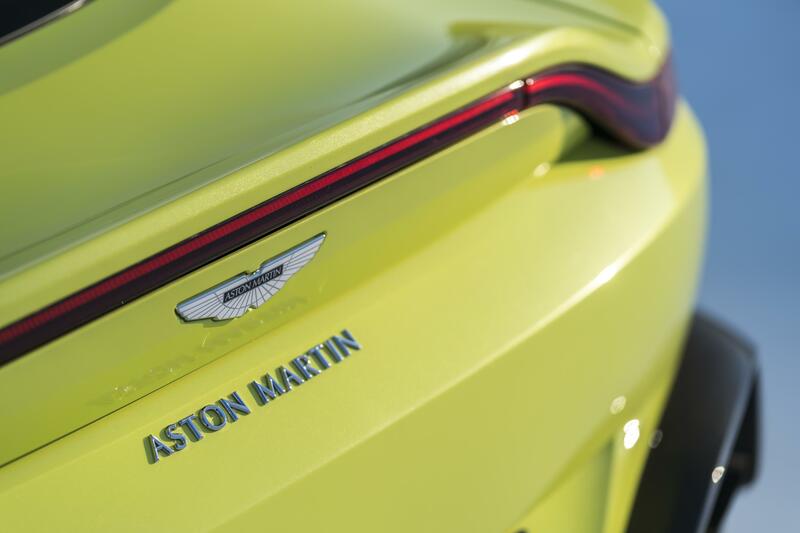 That purposeful intent is displayed on the car’s exterior, with a muscular stance that makes little effort to conceal the vast amount of aerodynamic work that Aston Martin has put into the car. 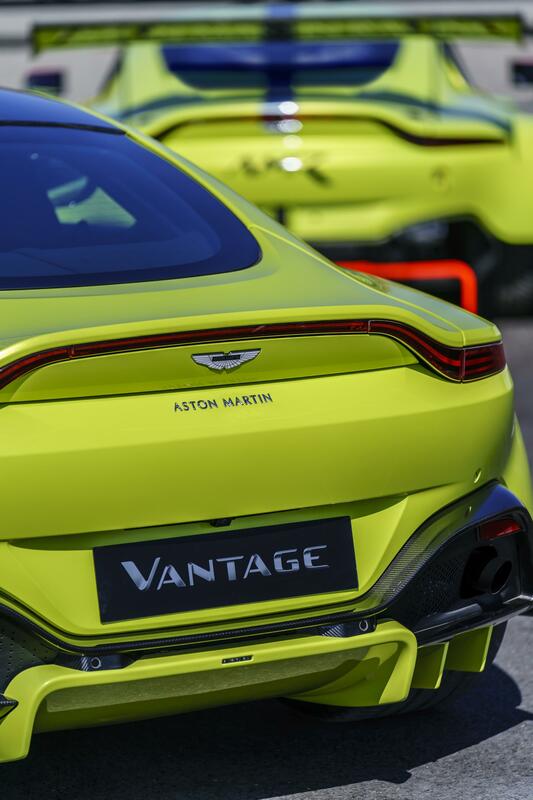 Aston has emphasised the dynamic direction it took with the new Vantage in its design, with overhangs front and rear kept to a minimum. 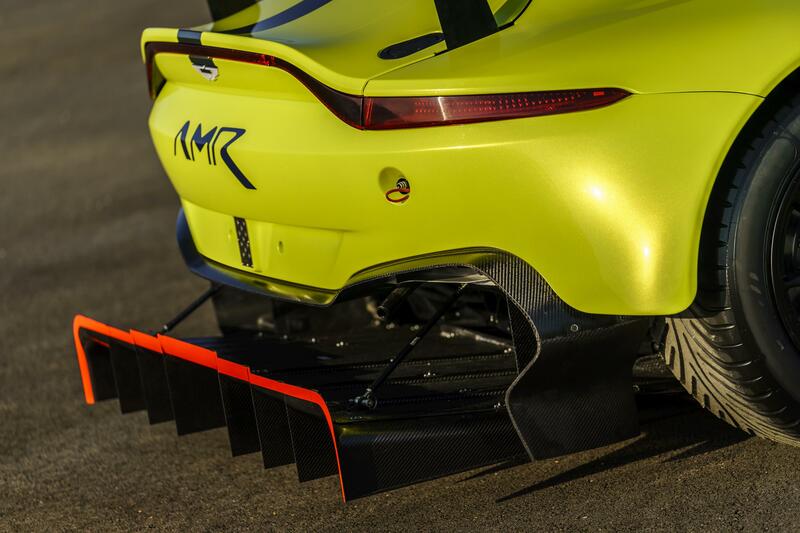 Up front, the gaping Vulcan-inspired grille delivers air under the car to ensure the diffuser jutting out at the rear receives a continuous feed of clean air, while contributing to a system of fences that aid with engine cooling. This car is all style and substance. 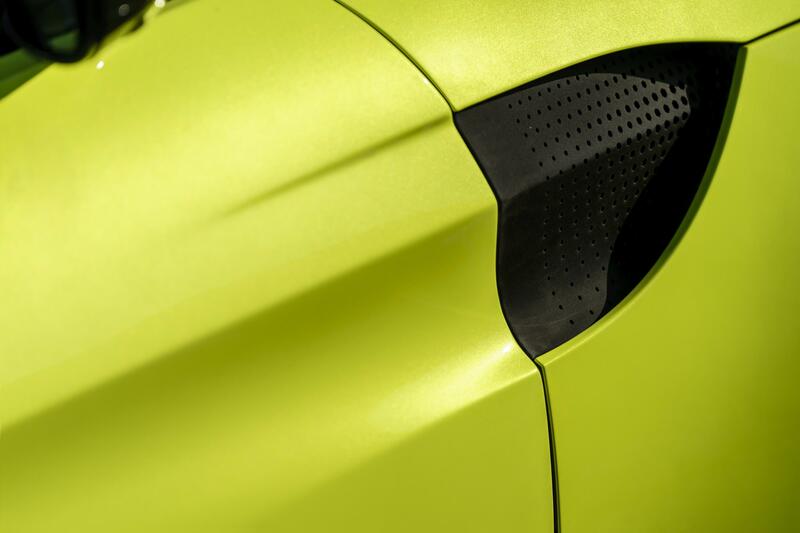 Another example is the pair of gills in the Aston Martin’s flanks – while adding to the drama of the V8 Vantage’s looks, they also act to bleed air out from the front wheel arches. 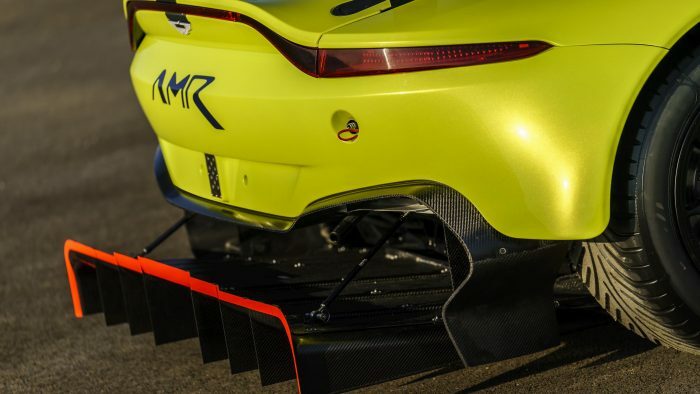 Combined with the front and rear diffusers and the upturned tail at the rear of the car, Aston Martin say the V8 Vantage produces a “significant amount” of downforce. 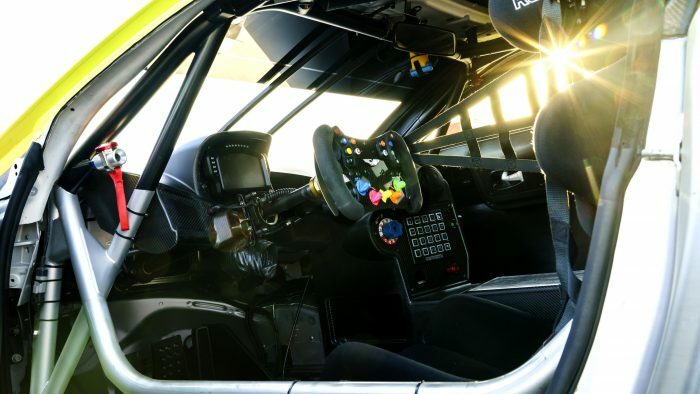 Inside, Aston Martin says it has continued the V8 Vantage’s focus by using sharp lines around the cockpit. 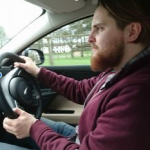 Sitting in the Vantage, the impression is one of aggression, helped by the car’s high ‘waist’ and low roofline – though Aston says headroom is improved over the outgoing model thanks to a lower driving position. The ‘unconventional’ styling direction Aston has taken with the Vantage has split opinion. 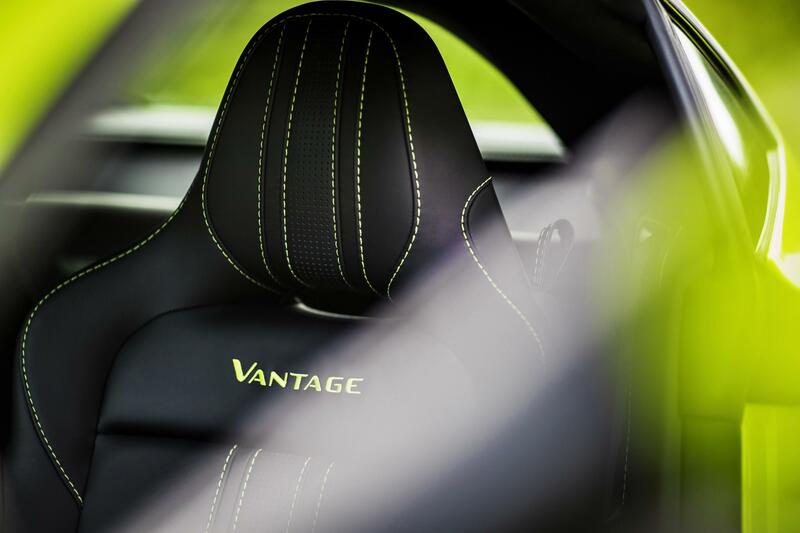 We love it and look forward to seeing how it develops for the brand over the Vantage’s lifetime and beyond. 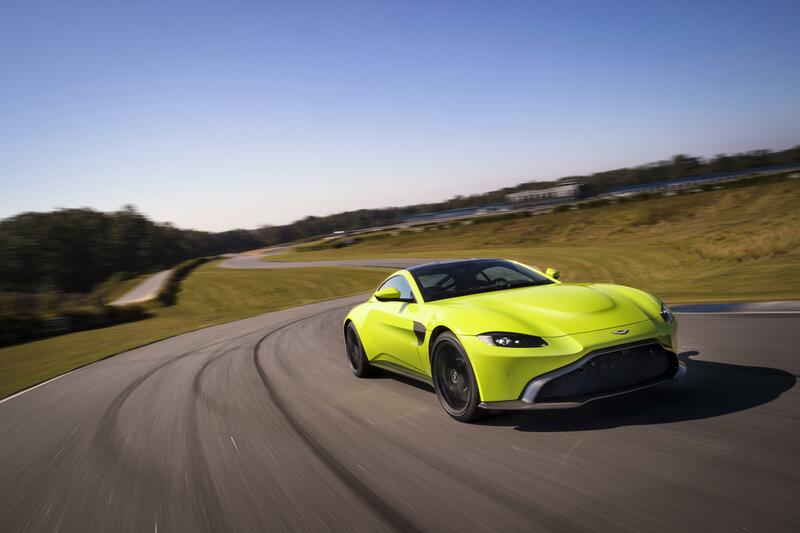 Power in the new Vantage comes courtesy of a Mercedes-Benz-sourced four-litre twin-turbo V8 mounted up front, which is good for 503bhp and 505 lb-ft of torque from 2000-5000rpm. 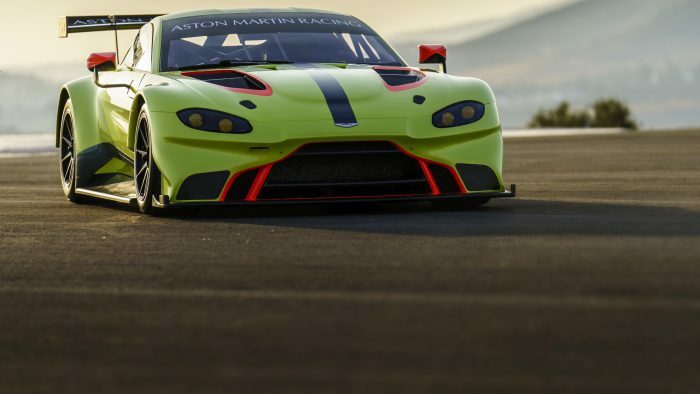 Aston has finely tweaked the engine’s induction, exhaust and engine management systems in an effort to protect the character that its predecessor was so renowned for. 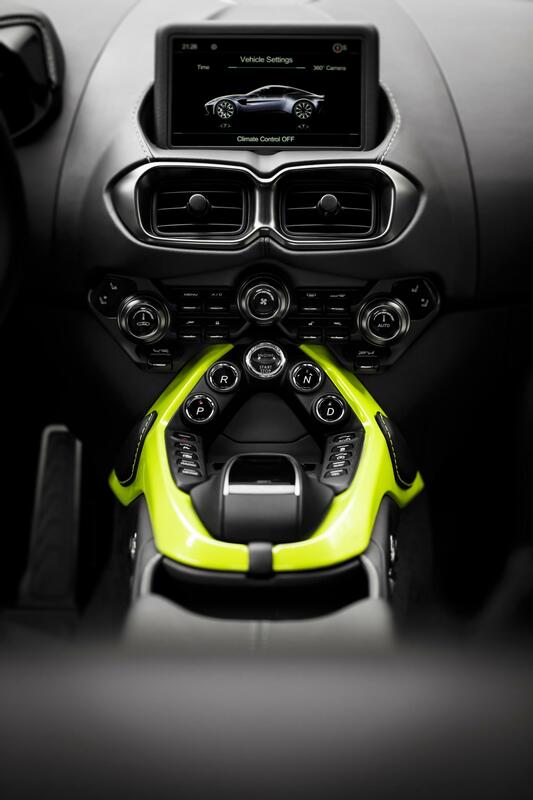 That power reaches the rear wheels via a ZF eight-speed automatic transmission, with this green streak capable of reaching 60mph in just 3.6 seconds. 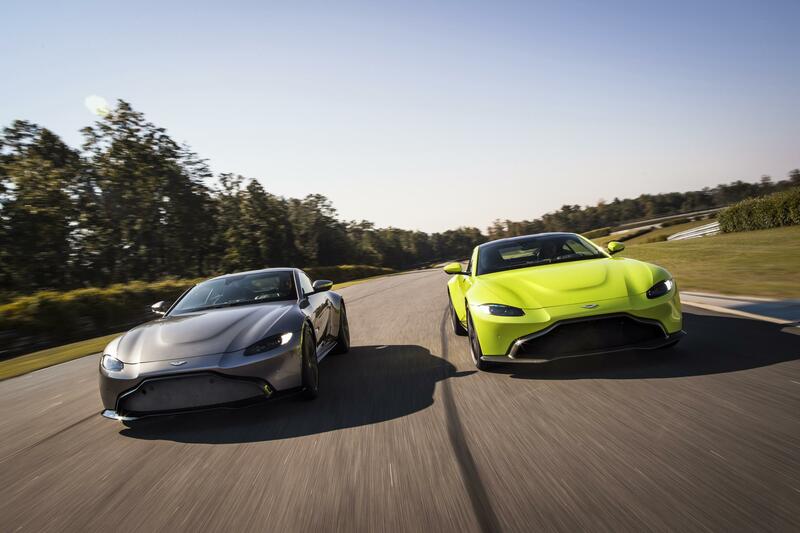 Top speed for the V8 Vantage is 195mph. 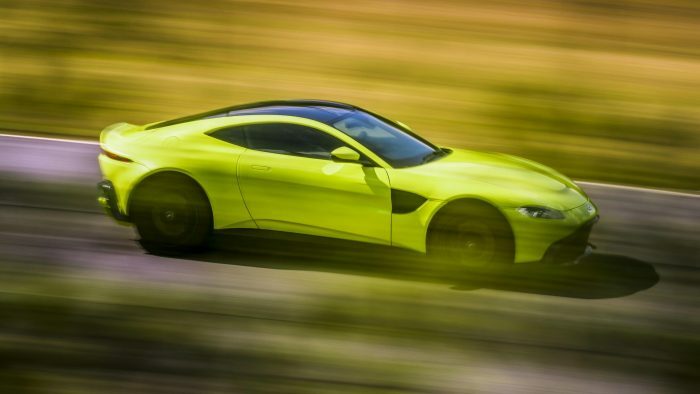 For those seeking an even more engaging drive, there is thought to be a seven-speed manual in the pipeline for the V8 Vantage – though the wait for that could be at least a year. 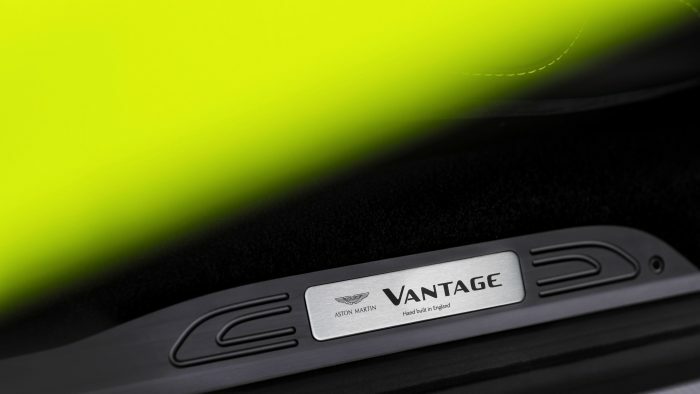 Once available, the Vantage will be the only car that pairs the M177 Mercedes-AMG engine with a manual ‘box. 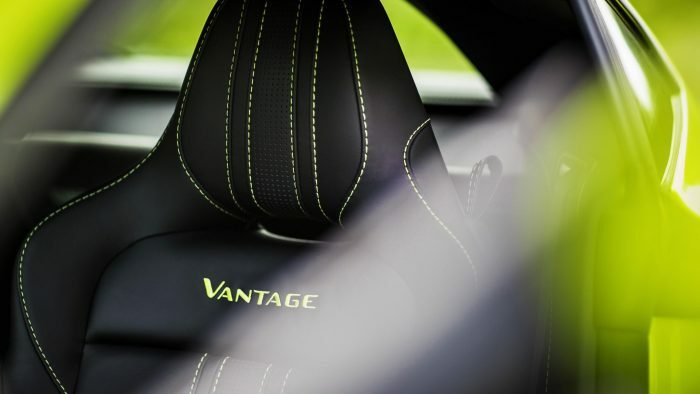 The last-generation Vantage sports car gained a V12 engine later in its life, adding more grunt and character to the car, with the combination of massive engine in a tiny, pretty sports car being a winner for the brand. While not having written off the idea entirely for the new model, Aston Martin is keen not to allow a heavier power plant affect the handling and dynamics of this model. 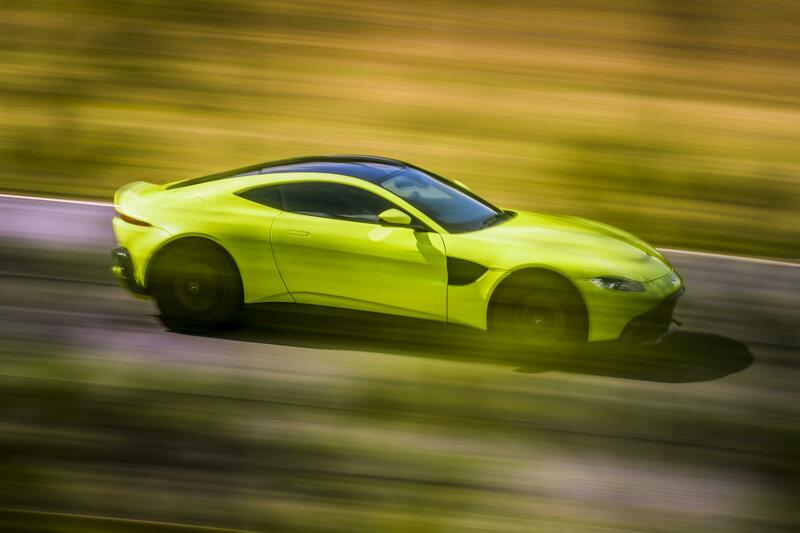 The aggressive styling and bold choice of launch colours have piqued interest in the V8 Vantage, with both representing a step change for the brand. That aggression is not merely skin deep, with the V8 Vantage’s performance stats as imposing as its visual impact – not to mention a crackly exhaust note that hints at a barely-contained fury. With a bonded aluminium chassis harnessing the technology used in the bigger DB11, though with 70% being new for the Vantage and a solidly-mounted rear sub frame to enhance the driver’s connection, handling, rigidity and weight were all key considerations during the design of the V8 Vantage to ensure exquisite handling and balance. But that doesn’t mean power took a back seat – 505 lb-ft is on tap from 2000-5000 rpm, with horsepower peaking at 503bhp at 6000rpm. When that twin-turbo V8 gets on song it can launch this 1529kg, two seat ballistic lemon from 0-60 in 3.6 seconds and all the way on to 195mph. 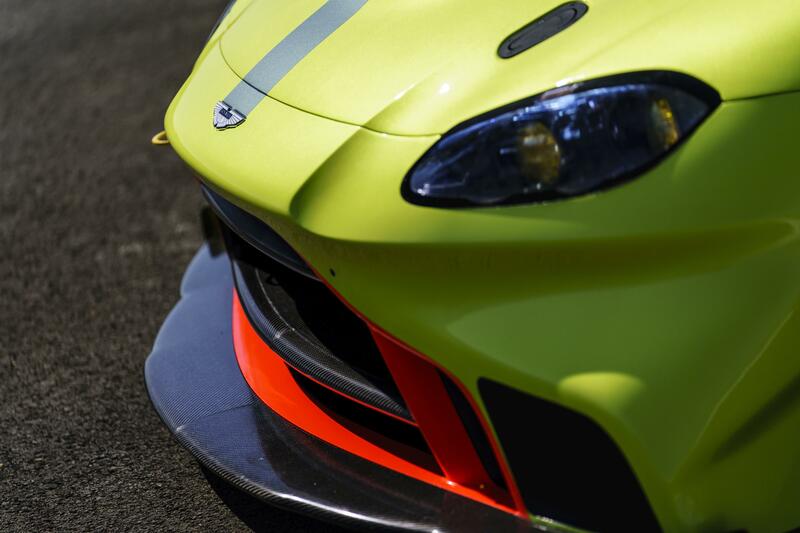 With the V8 Vantage going up against the likes of the Porsche 911 GTS, engaging handling is a must. 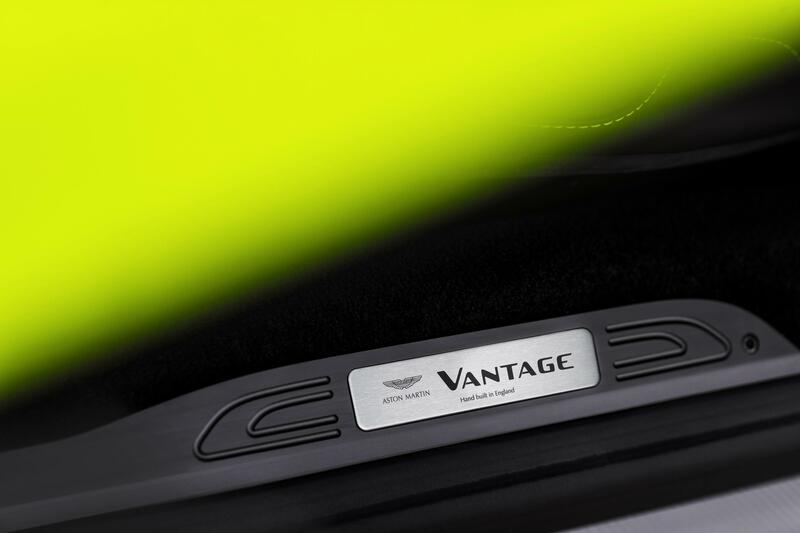 Thankfully, Aston Martin has prioritised this in the development of the V8 Vantage. Power is managed by an electronic rear differential, which works with the car’s electronic stability control to send power to the wheel with the most grip. The E-Diff also allows for adjustments at higher speeds, aiding stability and composition in a straight line or through the bends. 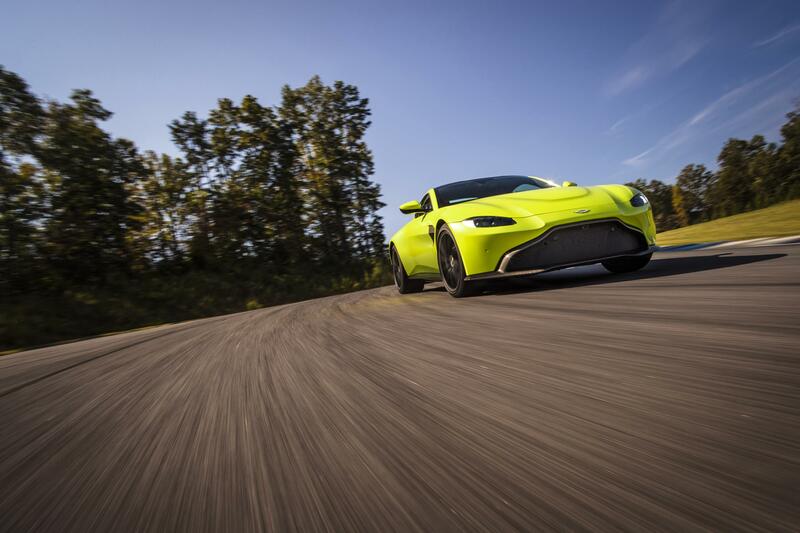 Systems like Dynamic Torque Vectoring and Dynamic Stability Control also play a part in the V8 Vantage’s handling character, though by no means has Aston relied totally on electronics to “manufacture” a feel for the car. 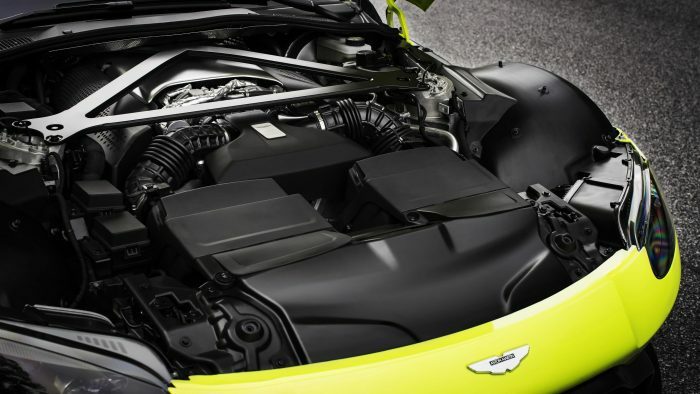 The V8 Vantage boasts perfect 50:50 weight distribution and a low centre of gravity, thanks to its engine being mounted as far back and low down in the car’s body as can be allowed. The chassis uses the bonded aluminium structure techniques first seen on the DB11, though with the majority of components being completely new for the Vantage. 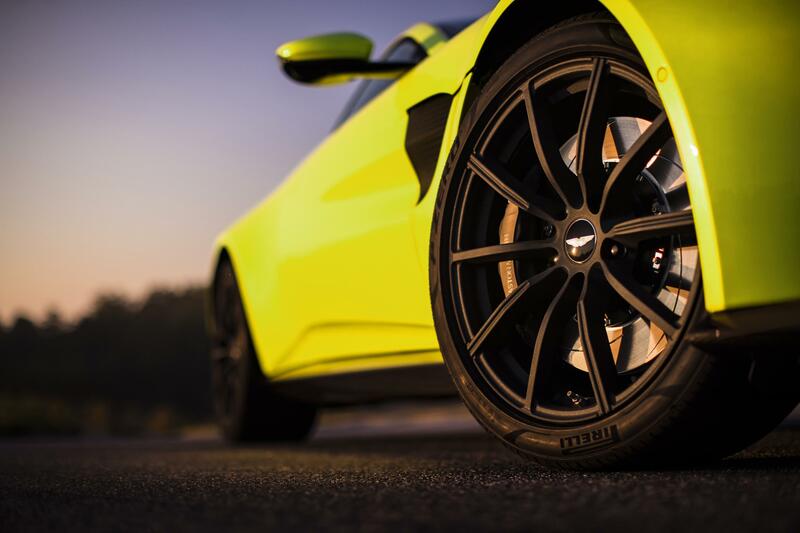 Pirelli P Zeros handle the sticky end of things, designed specifically for this car, while an Adaptive Damping System offers adjustability to three switchable modes: Sport, Sport Plus and Track. The Aston Martin V8 Vantage will appear in US dealers in the second quarter of 2018 with prices starting around $149,995. The first deliveries will start around then – though at the end of 2017 (indeed, barely a week after it unveiled the car) Aston Martin revealed that order books for 2018 had already been filled, with waiting lists for 2019 already growing. 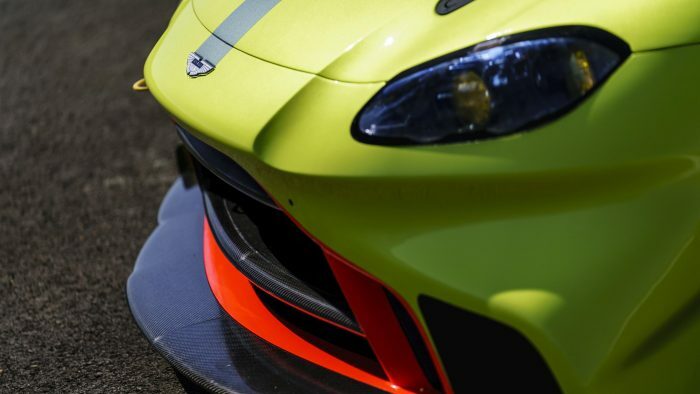 Revealed by Aston Martin the same day as the Vantage road car, with the pair launched simultaneously at an event in London, the GTE takes the Vantage’s already prodigious track talents and turns everything up to eleven. 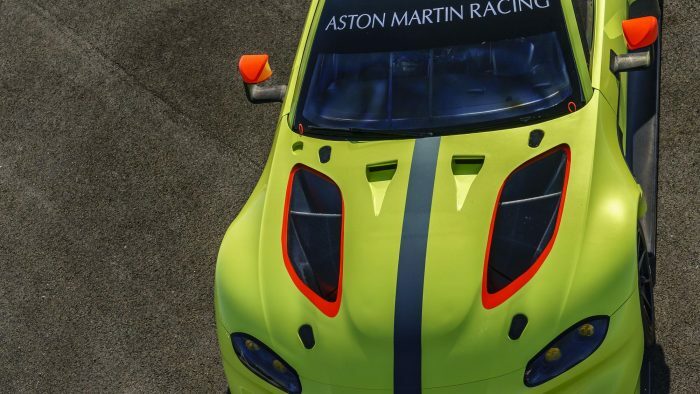 The addition of that massive rear wing, racing decals and enlarged carbon fibre front and rear splitters, plus broader side skirts and wider track, turn the Vantage from cool-but-compliant pet python into an angry venomous spitting cobra. 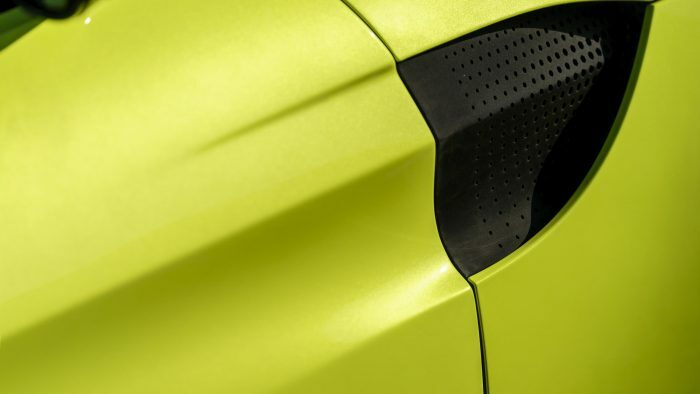 Bulges and gouges in the bonnet make the muscular underpinnings look like they’re bursting to get out of a thin yellow veneer of yellow bodywork. 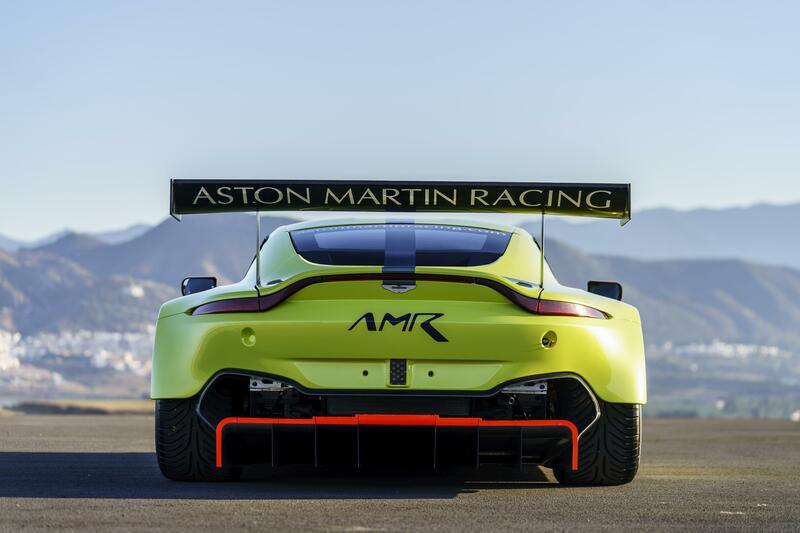 Aston Martin’s engineers have lifted the road car’s dynamics to another level with the racer, while meeting FIA GTE class regulations. 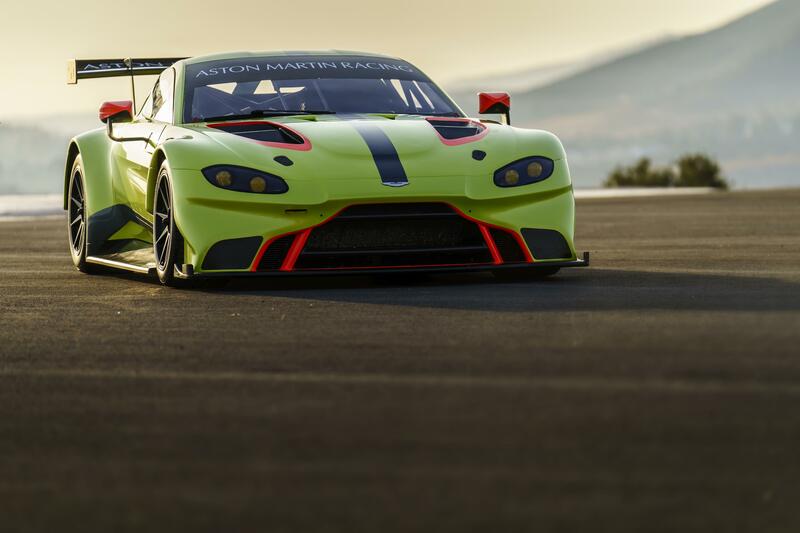 Power is raised to around 540hp, while a full-length flat floor and those splitters and wings add even more downforce, helping the Vantage GTE snake its way around endurance circuits across the world. 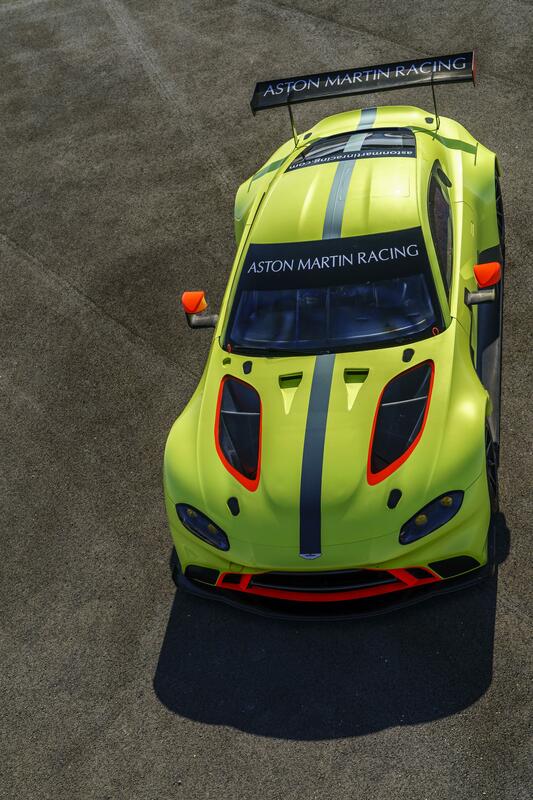 Aston Martin released a video shortly after the announcement of the GTE. 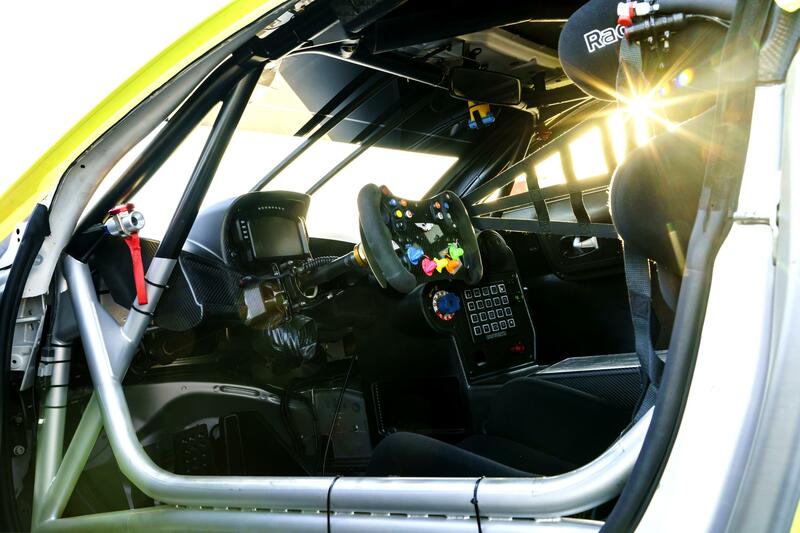 Detailing some of the hardware beneath the skin of the racecar, including Ohlins suspension components and Alcon brakes designed specifically for the Vantage GTE, the video allows a behind the scenes look into the development abd testing of the road-going Vantage’s body building cousin.